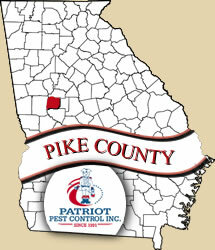 Here at Patriot Pest Control, we have been serving the Pike County area since 1991. We have so many wonderful features here in Pike County, like the historic Strickland Store, the Concord Jubilee, and the Tour of Pike. Many communities are in Pike County, such as Concord, Molena, Meansville, Williamson, and Zebulon. 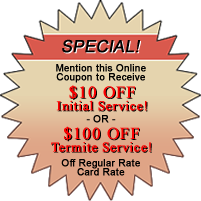 Call us today to start protecting your home or office from unwanted pests and termites.